Our Spring Lambs Sportive held in April 2018 was a great success. Now we have a brand new route providing you with fresh challenges over the undulating topography of Essex. 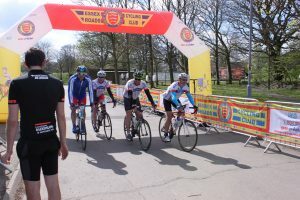 The 2019 Spring Lambs is booked for Sunday 7th April 2019 and we would like to invite you to this event which has been on the sportive calendar since 2009. These are two challenging rides – one of 100Km and the longer 150Km for those wanting a longer distance. Please note that entries close at 23:59 Tuesday 2nd April 2019! We’ve started by picking out both challenging topography and picturesque views along the way. We’ve added feedstops laden with volume and energy food, and when you get back its full-on hot food catering at the finish in a nice relaxing environment after your ride. In addition, we’ve provided toilets and cycle running repair facilities en route to keep you going all the way round. At our prestigious Brentwood Centre HQ you’ll also find free parking, changing and shower facilities, and for a little extra we have post ride massage facilities too.This then is a ‘high-quality sportive‘ operating far in excess of what you’re used to seeing with other providers. For all these reasons and more – make this your first sportive of the year – you’ll love it! To book – on go to our Essex Sportive website. We look forward to seeing you there!